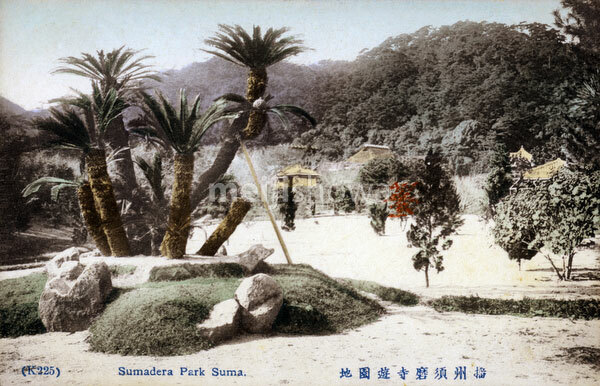 The park at Sumadera Temple (須磨寺), head temple of the Sumadera Sect of Shingon Buddhism, in Kobe, Hyogo Prefecture. Originally built in 886, the official name of the temple is Joya-san Fukusho-ji (上野山福祥寺). The temple has strong connections with the Genji and Heike Monogatari, classic works of Japanese literature.